On the subject of “Pinching”, we introduce more variations (see also DR10/2009) for dart manipulation. 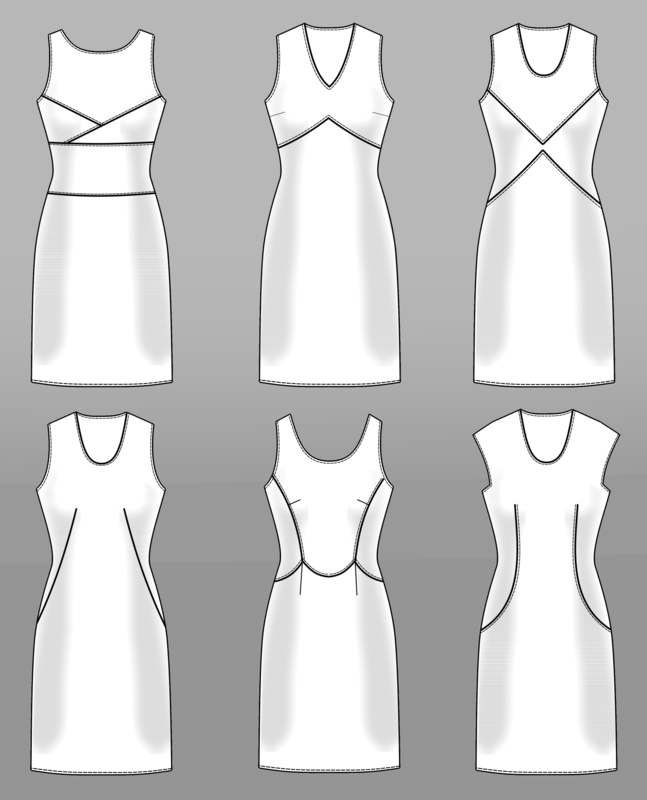 We show designs with crosswise seams, slanting seams, asymmetric seams and reduced darts. Those who master the technique of “Pinching” can achieve a perfect fit for any style. We give you an insight into the pattern construction presenting you one variation. You find the complete instruction in our journal Rundschau for women 1/2011. 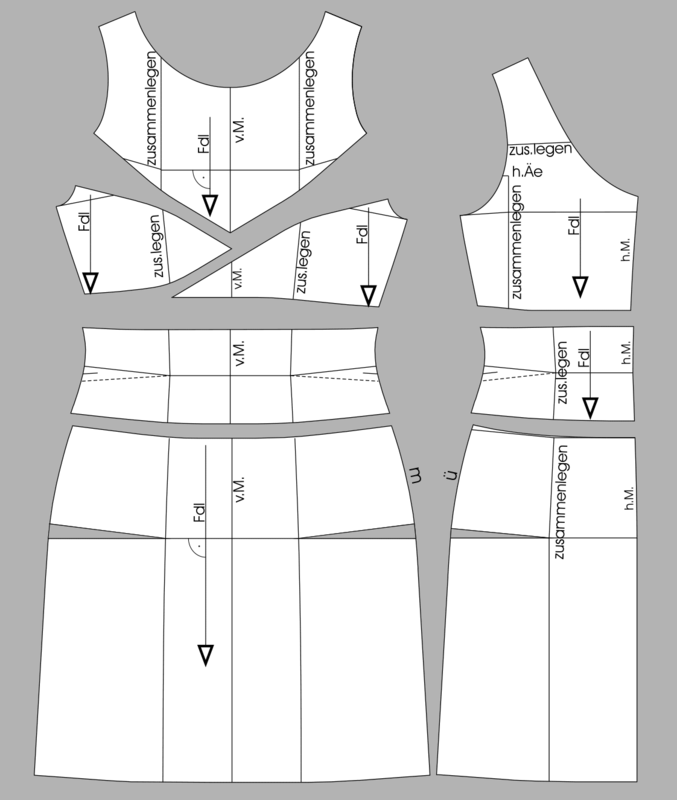 Use a basic dress pattern in size 40 as the for the pattern development (see measurement chart DR 10/2009). Indicate the skirt length with 55 cm below the waist. The design shows slanted seam lines in the front and a Broad waistband in the back. Mirror the front pattern and draw the seam lines according to the design. Mark the darts as pinching amounts. 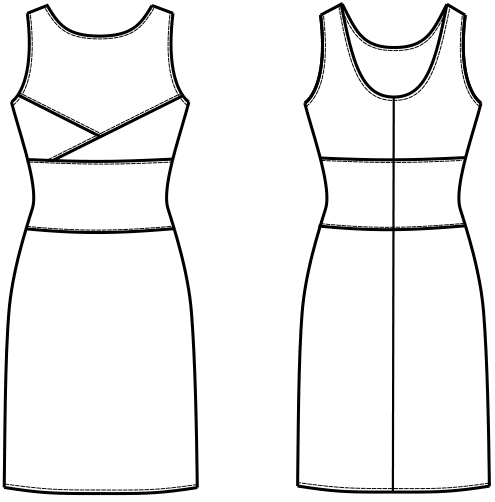 The shaped waist darts are drawn as straight lines for easier manipulation. 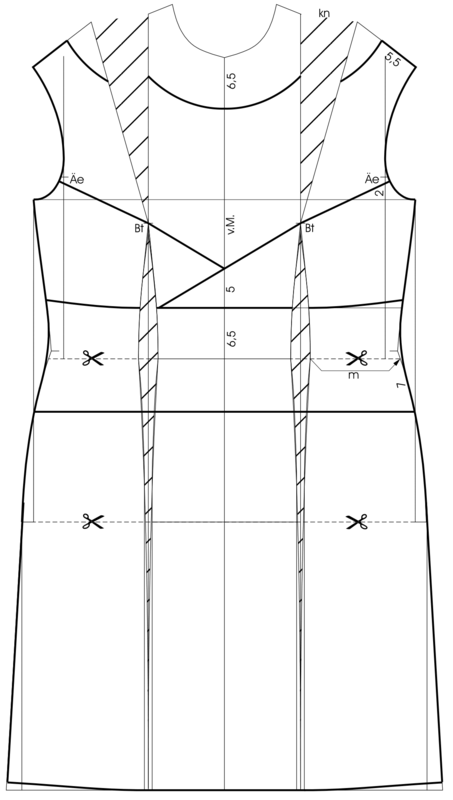 Close the bust dart temporarily for drawing the neckline. Draw cutting lines from the pinching amounts to the side seams. Mark the back shoulder dart as pinching amount. 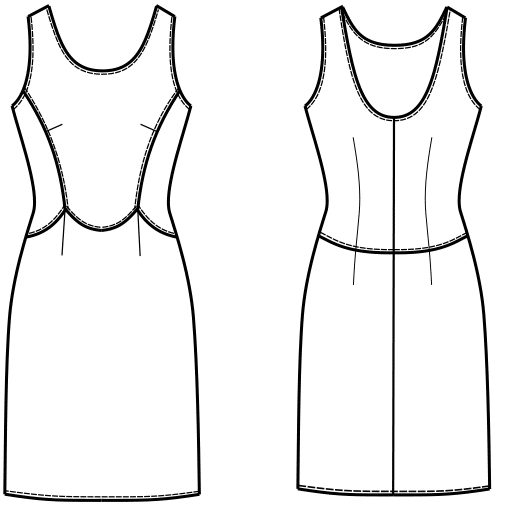 Draw the back neckline over the dart endpoint. Shift the back waist dart to the side and mark the intake as pinching amount. Separate all pattern pieces. 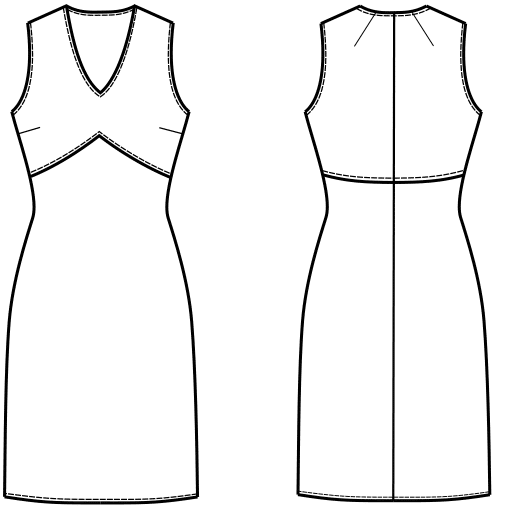 Slash from the side seams to the pinching amounts on the front and back pattern. Close the pinching amounts. The side seams overlap slightly at the waist and open at the hipline. 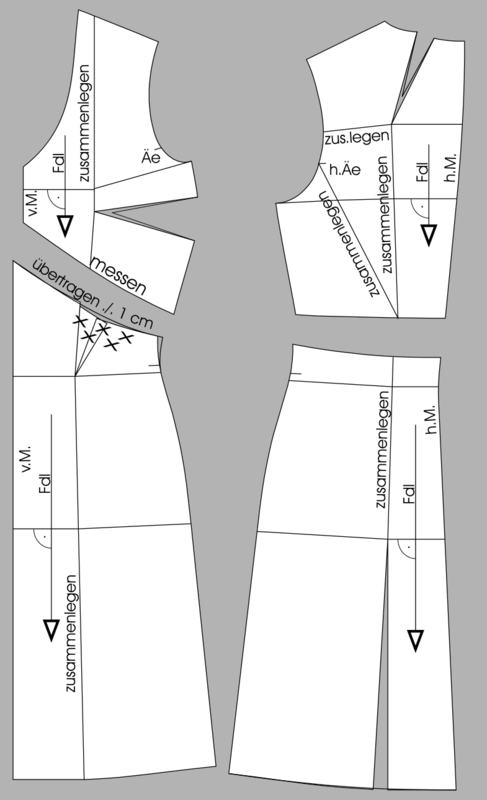 Equalize the side seam length. Close the bust dart. 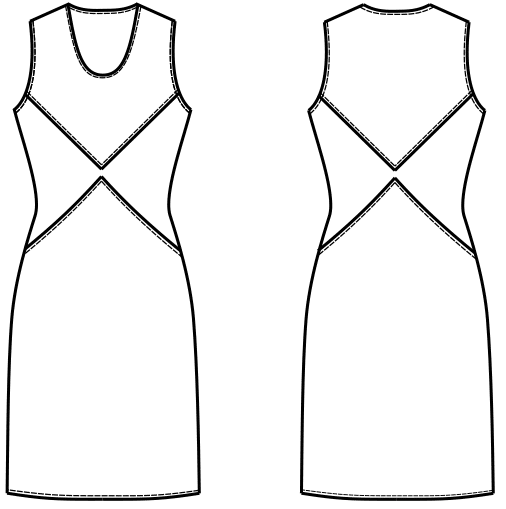 Close the shoulder darts on the back pattern and blend the neckline. 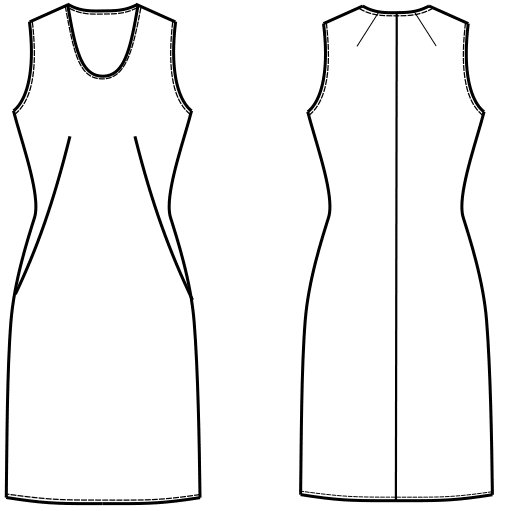 Slash from the back armhole notch to the pinching amount of the upper back pattern and close the intake. Blend all seam lines. 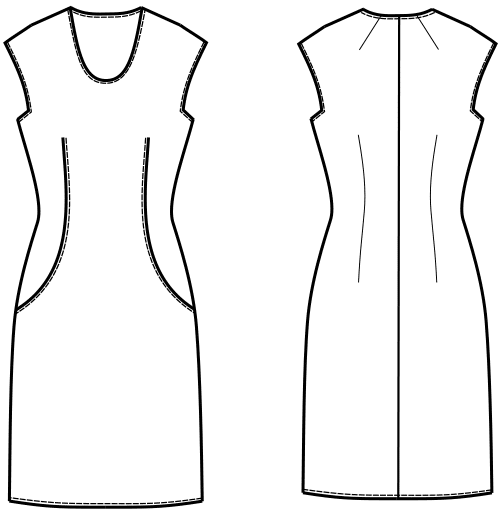 Blend the armhole curve. Mark the grainline.